When global risk advisor, insurance and reinsurance broker Willis Tower Watson looked to integrate their Melbourne offices into one space, it was clear they would need enhanced facilities for their now much larger teams. 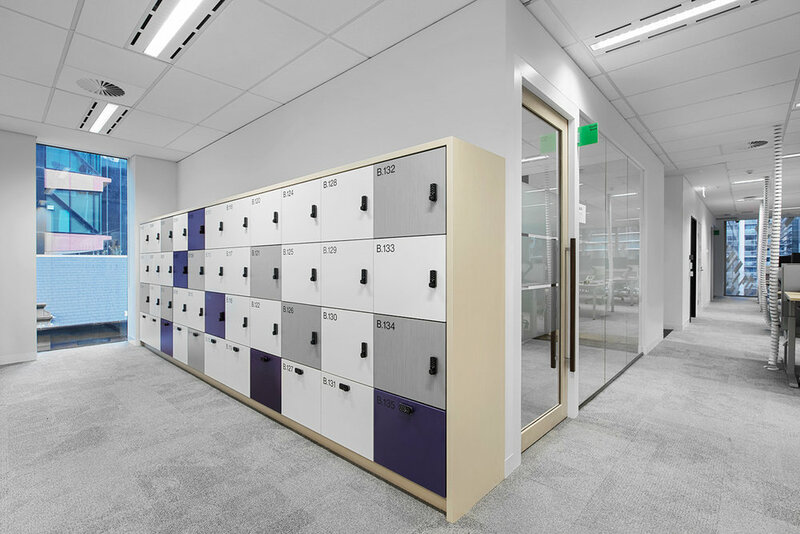 The company’s activity based working teams needed easily accessible storage space to enable a fast moving, agile work culture. 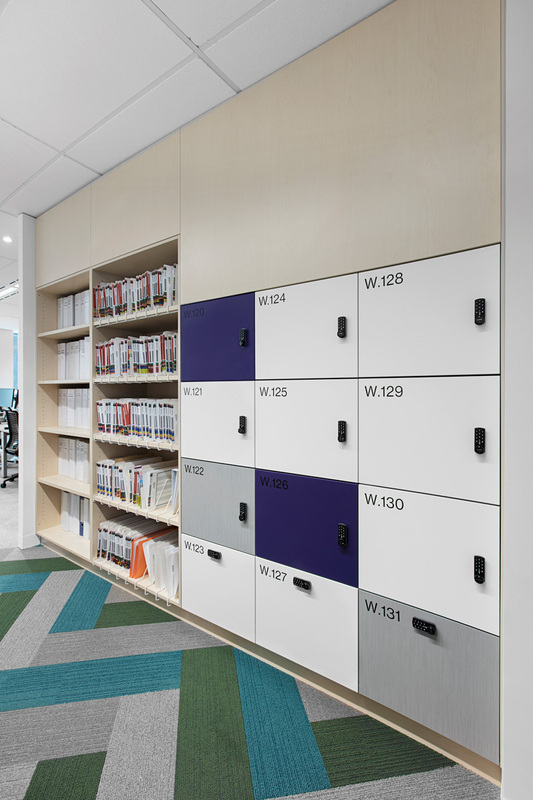 As part of the office refurbishment we installed 268 H2 and H3 lockers (3 and 4 door configurations), with a custom design that featured the bottom locker space as a lockable, pull out drawer. The lockers were finished in clean shades of Laminex Purple, White and Zinc, enclosed within a Laminex Dansk Maple shroud. The lockers were completed with a simple digital lock, the Mini K10. Alongside the locker installation, we also created custom joinery features including bookcases for files and documentation. At 555 Bourke Street we’ve created a clean and accessible facility that will serve this fast moving global broker and its hard working teams well. Featuring a lockable pull out drawer as the bottom locker space.